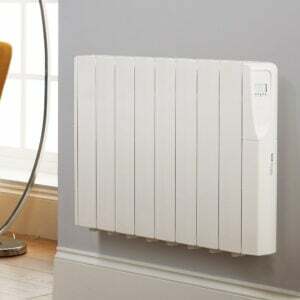 Electric Radiators or Gas Central Heating? Home heating is probably one of your biggest household bills each month, and with energy prices always on the up it’s important to make savings wherever you can. 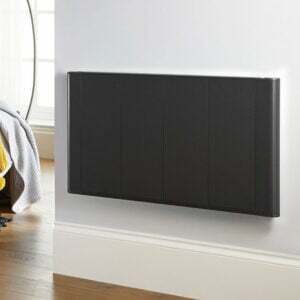 One of our most frequently asked questions is: How much does an electric radiator cost to run, and is it cheaper than traditional gas central heating? Well, we’ve run some figures and hopefully this will make your home heating choice a little easier. Currently, the price of electricity is around 10p per kWh. Gas is quite a bit cheaper at around 3p per kWh (figures from UK Power). Based on this alone, you’d think that gas central heating is the obvious choice – but that’s not the case! Let’s look at some running and installation costs and see which form of heating comes out on top. On the type of standard energy tariff we’ve chosen above, a 500W electric radiator will typically cost about 5 pence per hour to run. Already then, it’s pretty close to the cost of gas central heating. It’s also worth bearing in mind that you can set individual room temperatures and timings with our electric radiators, so you can heat the specific rooms in your house that are used at different times of day. 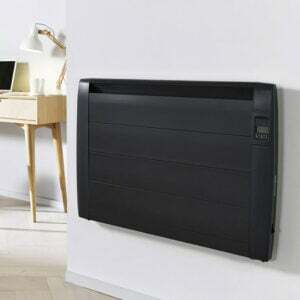 This is simply impossible with traditional radiators and can really impact the efficiency of your heating. Why pay for heat you’re not using? 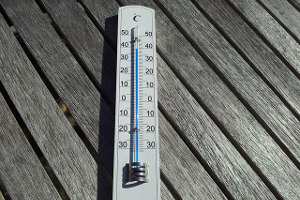 One aspect that’s often overlooked when comparing heating prices is the installation cost. The average cost to install central heating from scratch in a 3-bed home is around £3,235–£4,200. 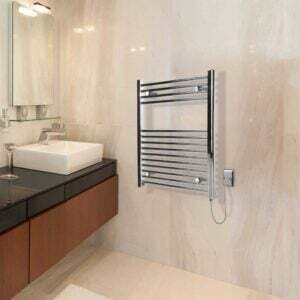 Our popular 500W slimline radiators cost £199 each and are so easy to install you can do it yourself. All you need is a plug socket nearby, and some basic DIY in terms of fitting the brackets to the wall. A rough estimate of 8 radiators needed (3 bedrooms, 1 bathroom, living room, dining room, hall and kitchen) would cost £1600. Even if you hire a tradesperson to help fit the radiators, an average day rate of £200 (used in the gas central heating quote above) leaves electric heating much cheaper to install. 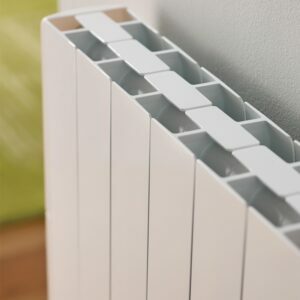 With extremely low installation costs and no plumbing work required, electric radiators are the modern heating solution of choice for extensions, loft conversions and anyone renovating a house where the old central heating system needs an overhaul. Increasingly we’re looking towards eco-friendly and budget-friendly solutions for our homes, and the intelligent temperature control you get with electric heating really does fit the bill.